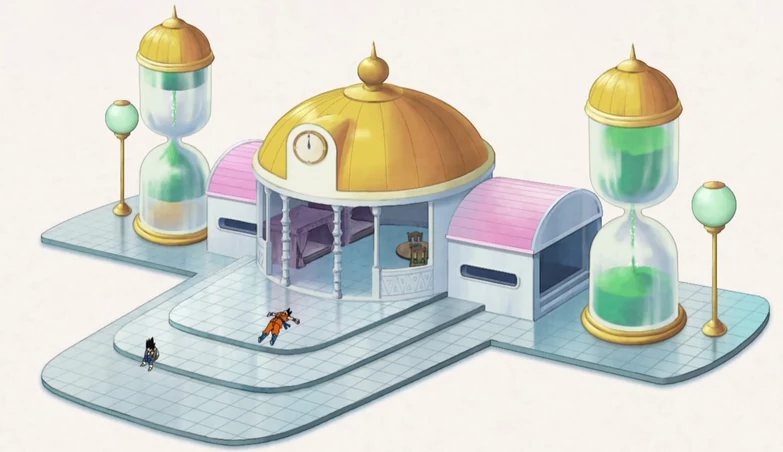 Don’t take this one away from me, the Hyperbolic Time Chamber is totally technology and you can’t prove me wrong. Okay, you likely can but whatever. So I’m going off a bit of a tangent to start this one off – The Hyperbolic Time Chamber is surrounded by decorations of time; makes sense. A clock, some sand timers, etc. As such, by my logic, whilst the room is considered spiritual, I’d wager that some form of special technology takes place here. Manipulating time, a day in the real world is akin to a year in the chamber. Or you know, it could just be the doing of gods, because that kinda explains 99% of Dragon Ball lore. I’m being satirical, of course, but I’d like to think there’s a bit of truth there. Rick Sanchez is famously nihilistic, being consciously aware of the impossible vastness of reality and the many realities beyond makes one realise the statistical insignificance of one’s own existence, and therefore the existence of everyone around you. The portal gun not only puts things in terrifying perspective for the exceedingly intelligent, and Rick has embraced it, grown into it, and become immeasurably powerful by acknowledging how pointless his efforts really are. He is dehumanised beyond recovery, mentally and physically, the sheer size of causality and the wider cosmos isn’t the terrifying part, it’s the truly horrific knowledge that nothing a finite creature can accomplish amounts to anything compared to everything else. Rick recognises this, and – to his deficit – has embraced it. Family is a crutch, effort is futile, and self gratification is the only rational endeavour until omnipotence can be achieved. Just to really play on your paranoia, the fear of all your household and handheld technology listening in to your every conversation, they’re working on mental-interfaces. The interfaces are for people who struggle with manual controls like mouses and keyboards, removing the barrier of fine motor skills for those without them, which is great… but would you trust Amazon or Google with even your surface thoughts? Already there have been fears about their in-home assistants that leave their microphones on 24/7 (because how else are they supposed to “Hey Google”? ), what happens when they can read your mind at a distance? Smart watches, the increasing computerisation of televisions, the home-control networks like Hive and Nest that hand control of our heat, water, light, and personal security to computer services managed by online servers in the hands of large corporations; the general fear being that slowly but surely we are seceding our rights and our autonomy to computers. Could the last bastion be the privacy of our own minds? Not for much longer by the sounds of things. When you think of Doctor Who, chances are you think of the Doctor and one of two of the main enemies, unless you count the Master. You will likely think of the Daleks and, probably, the Cybermen. You may also think of the Weeping Angels, but they’re a trauma for another list, I’m sure. The Cybermen are our focus for this, which tips the terrifying tech scale greatly… But why? The Daleks are built to have one emotion – Anger. They are angry little bots who want nothing more than to take their anger out on you, especially now they can get upstairs. Cybermen however, they’re a whole different kettle of fish. They take their humanity and throw it away. They replace it with less and less human parts. They want to do away with all humanity, becoming nothing more than a hollow, emotionless shell. Of all of the constructs of the Eldar, there is little more fearsome than the dreaded wraithguards. 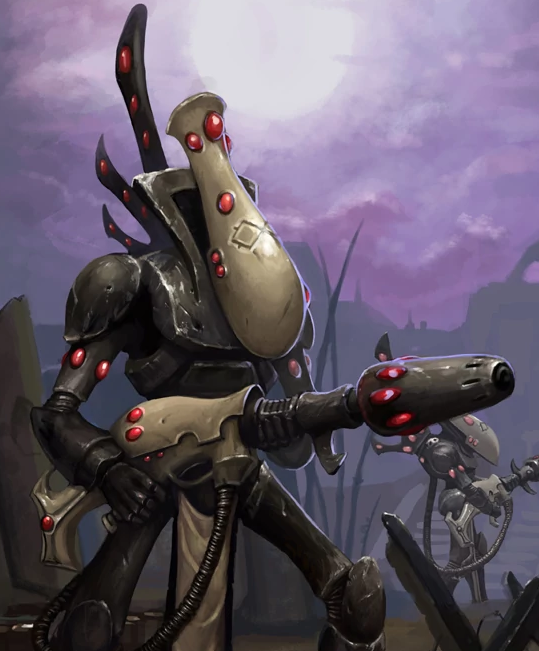 These machines are purely created for war, infused with the soul of an Aeldari warrior. They have the knowledge of war from an elite warrior, combined with what is effectively a Gundam suit. There’s little more fearsome than this! Oh wait, I lied. There’s also the even more fearsome Wraithlord! If you think the Wraithguard was bad, the Wraithlord takes what’s terrifying about the Wraithguard and amplifies it by 10. Wait, I’ve also not mentioned the Wraithknight. If you thought the previous two were terrifying, we haven’t even touched upon the Wraithknight – and all you need to do is read a bit about it. You’re welcome. The greatest zombie horde in sci-fi history and I will defend that point to the hilt! 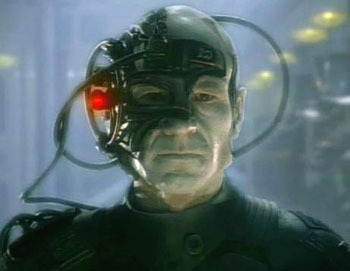 Cold, implacable, unified and implacable, the Borg possess an organisation and strategy that your average zombie could never muster, controlled by their malevolent and all-consuming Queen. Their ability to adapt their personal shielding to energy weapons makes them a nigh-indestructible machine, their power to overwhelm an individual and eradicate all but the faintest shreds of personality while leaving a familiar face makes them so much more terrible to behold, and the “sleep” they undergo, staring blankly forwards while stood upright is haunting to say the least but that’s simply not the worst of it. Watch the process of creating a borg: a screaming victim is strapped to a table, injected, dismembered, and rebuilt until the screaming fades, inevitability sets in, and the victim lapses into silence as their consciousness dims, becoming part of a network far greater than themselves. It’s harrowing in its own right, but the voice that precedes the event only makes it worse. 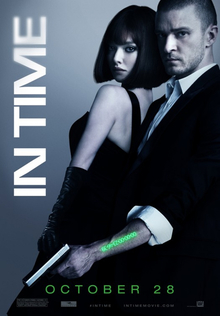 An excellent sci-fi film that portrayed time well spent, literal lifespan made currency, making the rich immortal super-beings gambling centuries at the roulette table, and the poor literally dying to eat, where every second spent is precious, and work is life. Now that’s pretty bleak to start with, and a little creepy when you have two actors the same age playing mother and son and it’s world-appropriate. But when you see said mother and son running to each other to exchange time, and for one of them time runs out… that’s seriously heartbreaking stuff. No injection of funds can spare you from bankruptcy. Little side-details help sew a little more destitution into the setting, watching the sale of “illicit substances”, literally trading your life away for a fix, and the casual exchange of life changing sums between the affluent, immortal upper class, it effectively lifts away the metaphor of money and makes the growing gulf between rich and poor a more direct message. Doctor Otto Octavius is one of Spider-Man’s greatest enemies, or frenemies, depending on what you’ve read/played. 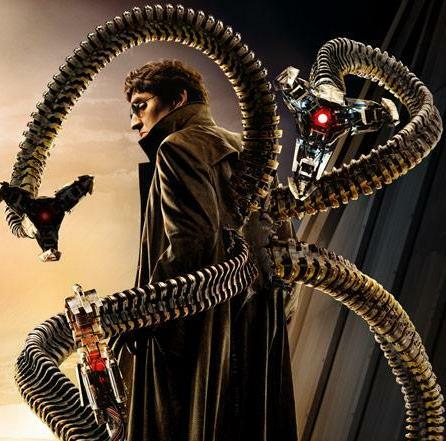 Doctor Octopus, as we better know him, or Doc Ock for short, is a genius. He’s able to make just about anything he wants to make, with very little to stop him from just tinkering for days. This makes him both a fantastic ally, but an equally terrifying enemy – Especially with his signature tentacles. You can’t look at these tentacles and tell me you see both the benefits, as well as the nightmares? To keep this brief, Doc Ock is incredibly resourceful. He wanted those tentacles as it helps him with all sorts of problems. Needs a super strong “grip”? Needs to reach around an awkward crevice? Just… Don’t want to walk? Doc Ock has thought of all of these things. What a dastardly man he is. This may sound like a strange one to put together, but hear us out. Both drones and the concepts discussed in Altered Carbon are equally terrifying to us. One are a very current potential “threat”, whereas the other is something that has been discussed since the early 1900’s. I remember seeing an interview once where a young man in the middle east told reporters he feared leaving the house on sunny days, and was happier with clouds overhead. On cloudy days the drones did not fly, and death did not come from an empty sky. In a lot of cases in this list we are talking about potential, what horrors could come about from emergent technology. This is real, this is happening today. The same kind of remote technology that allows us to fly cameras around fields has been put into unmanned vehicles capable of long range flights and patrols, with a payload of deadly weaponry, invisible from the ground, hard enough to track technologically, and bearing the power to level buildings controlled from miles away. It’s not just the victims of drones, it’s the people behind them suffering the sheer dehumanising consequences of remotely controlled killing machines without the power to discern victims from targets. The orders say shoot here, you shoot there. 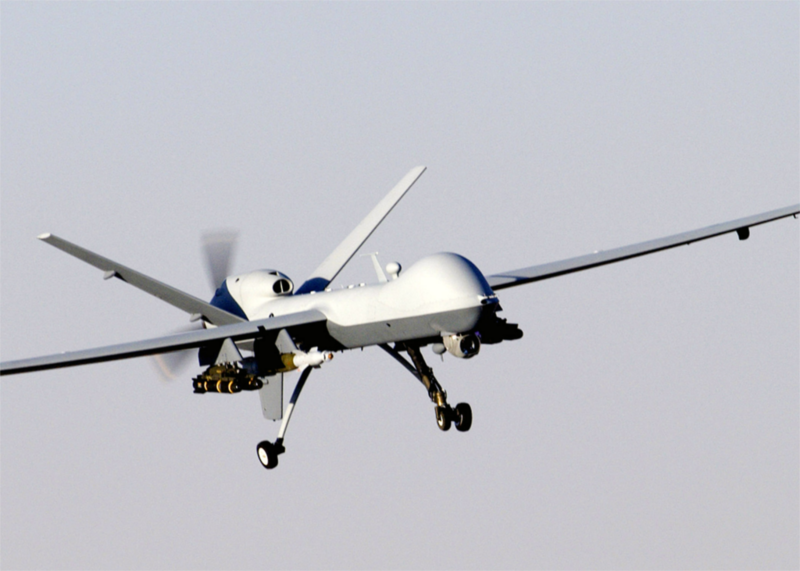 Drones have revolutionised warfare and turned it into a sport… but go ahead and take a selfie. Picture that it’s the future – Let’s say it’s about 300 years away. The future is ruled over by the rich, who get access to the very best. The rich can use their wealth to keep the poor down – and it isn’t a one and done deal, either. All humans have something known as their Stack, which is akin to a hard drive built into them. This Stack is downloadable, transferrable and so on – Basically, your collective consciousness is confined to a lowly disc. In the back of a human bodies neck, there is a slot allowing for the placement of a Stack. Human bodies are no longer part of what makes you human; indeed, you are as human as everyone around you – Trapped in nothing more than a hard drive? You are not unique? You wear your body, your human Sleeve, which is just something that you desire to wear? Or when you die, you can just be put in another Sleeve? Why have a weak body? Why have anything other than what you want? … Or what if you don’t have the money for it? What happens when the 6-year old girl dies, through no fault of her own – and her parents are working under a rich dictator, who doesn’t pay them enough. What body does she get? She gets whatever is left in storage, a 60 year old man. As his eyes opens, the old man utters “mommy” to the now mentally scarred parents before him. Oh and don’t think this is too far away from the realms of possibility. Head surgery, for one, is something that has been dabbled in since the early 1900’s. Now that we’ve gotten over the above real life and fictional examples of how terrifying tech can be, it’s time to look at a few more. These next two are both very real and both are very real problems with little in the way of immediate resolution. Oh internet, we really do have a strange love-hate relationship don’t we? As a race, we’ve come to rely on the internet for so much of our day-to-day conveniences. Don’t know how to make something? Don’t know how to do a specific thing we should be able to do as humans? Don’t know where to find your local shop, which is 5 doors away? Yeah, the internet will solve all of these problems for you – It’s your go-to pal for all information. But… What if the internet was corruptible? What if people were able to turn it away from being this wonderful connection of websites into something far more diabolical? What if, just what if, people used it for bad? Unfortunately, this happens as I’m sure you’re all well aware. The internet is both an incredible resource for us to use, but it’s also a resource that can promote fear and incite anger. Yeah I’m going to get a bit political here, we do our best to avoid it but you can’t help but reveal a bit of bias when you write as much as we do. There’s a lot more people now than there were twenty years ago, forty years ago, eighty years ago, our population is growing exponentially and our technological advances mean that we demand a dozen gadgets per person (probably, I’m guessing) all of which require charging or otherwise feuling. And it’s worth mentioning we’ve not got a lot of the nice toxic fossil fuels left. When the best alternative to burning coal and trash is powerful radiation known to wipe out cities and synonymous with apocalyptic weaponry and international tension, is it any wonder we blindly follow the next big fad in electricity production despite the massive flaws with the concept? Yeah, I’m looking at you Solar “Freakin” Roadways. Without funding and global commitment to alternatives we are not looking to change any time soon, which has already resulted in catastrophic changes to our environment at all stages. Things have got to change… they’re not doing so yet though. Another week has passed where we’ve not all exploded from our tech fighting back. So put your feet up and relax this week, let your Roomba get to cleaning your house for you. What may today be your bestest cleaning buddy in the world, may tomorrow be the beast you’re trying to beat back with a good old fashioned broom. Quick! Help us decide what next week’s vote is before the Roomba eats you and your cat, too! Phew, you voted just in time. That Roomba has learnt its lesson from your damn good thrashing, but now please put that broom down. You’re scaring the children, who sit in front of the safety of their iPads and Nintendo’s. Now, NintenDON’T forget to leave us a message. Did you agree with our list, or did we forget some utterly terrifying technology that we should have included? Share your thoughts below, or over on Facebook and Twitter. 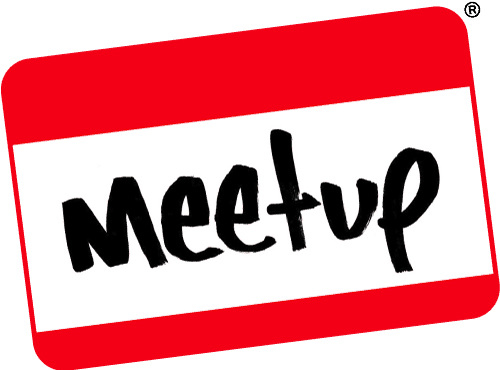 This entry was posted on March 23, 2019 by GeekOut Team. It was filed under Comics, Entertainment, Gaming posts, Technology, Top 10 and was tagged with Altered Carbon, Cybermen, Doc Oc, Doctor Octopus, Doctor Who, Dragon Ball Z, Drones, Eldar Wraithguard, Eldar Wraithlord, Global Energy Consumption, Human Sleeves, Human Stacks, Hyperbolic Time Chamber, In Time Film, Mind-Controlled Tech, Pervasive Technologies, Portal Gun, Rick & Morty, Spider-man, Star Trek, Technologies, Terrifying Tech, The Borg, the internet, Time Exchange, Top 10, Warhammer 40k.